Recently I cam across a priceless collection of holiday postcards from the 1950’s and 60’s each came with a snippet of wisdom from the sender. I wonder what was so horrible about the beach? The lack of sand? The dreadful clothing of the beachgoers, their odd haircuts? Ok I give up. 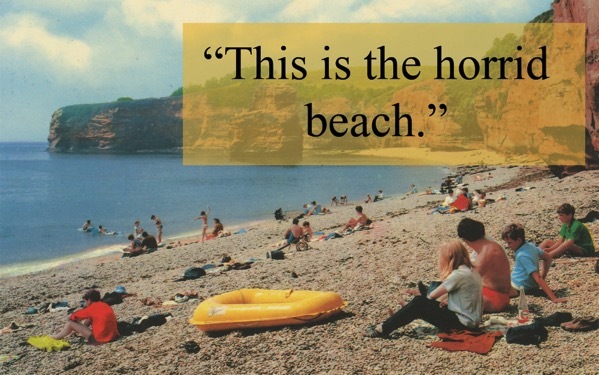 As with my periodic series of The Confessions Naughty Dogs I will probably post a few more pearls of ungrateful British holiday wisdom from the past. Previous PostOne rule for themNext PostAre they?